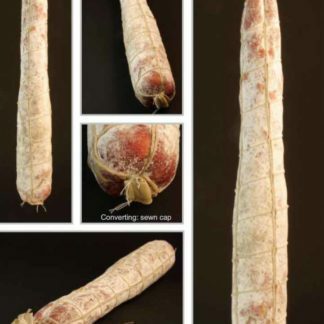 Air-dried HUKKI – intestines there is a new adhesive impregnation since 2012. In addition to the various easy-peel coatings supplemented from now the new version liability, the range offers interesting possibilities. 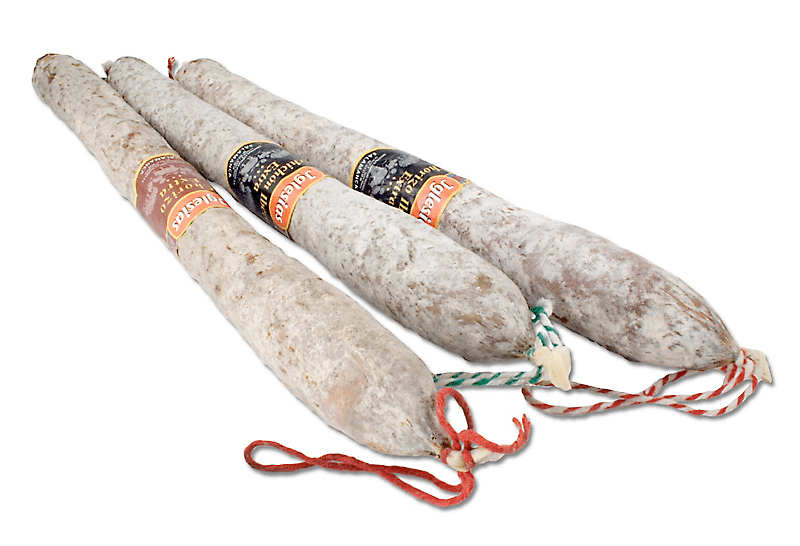 HUKKI Salami Casings are used in the production of dry sausage like smoked, air-dried or salami with mould. 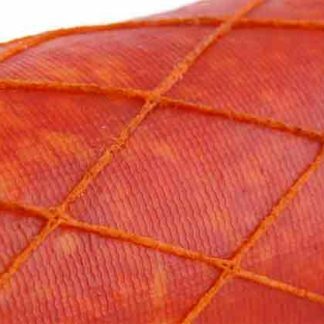 The combination of textile tube and fine collagen film produces high strength and good elasticity. 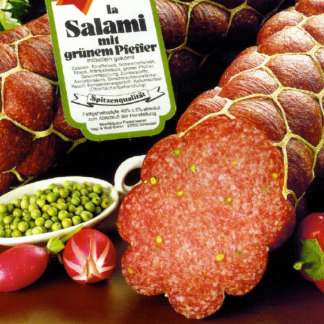 The permeable sausage casing cuts down the drying time. Water-vapour and smoke permeate easily. • The alternative to natural gut. • The use of completely new textile fabric allows produce a fat end without seams. • This gives a very natural look. 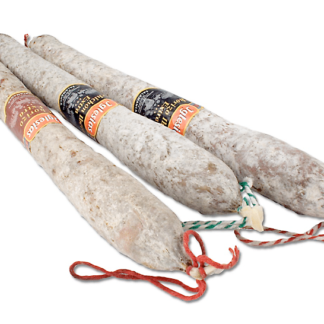 • High flexibility and strength of the sausage casing are granted. • A thin collagen coating ensures excellent ripening properties.